Want to feel good all day long? Well, exercise may help. Yes that’s right! A lot of studies reveal the fact that exercising in the morning brings you more energy and a better mood all day. Also, you can then you can turn to be a charming friend or partner and a better colleague. It helps you boost your brain power too. In the extended benefits of exercise, one is that it regularises your blood pressure. Hello!! There is lot stuff; then what’s pushing you back? Don’t wake up every day with the same downbeat commitment of fitness. Open up yourself to nature and fitness and get the blood flowing within your muscles with these morning workouts! There is a way you can make your mornings and whole day better. It all takes few minutes of your early morning regime and gives you a lot throughout. You can even perform some of the exercises mentioned below at home. Try some out! A walk outside can improve a lot and along will connect you with nature amidst all busy schedules. However, following a treadmill inside can help you achieve the same. Your fitness program then can vary in time as per your capacity. Try creating and achieving new goals daily that will always bring you up with better outputs. Start your job with brisk walking and take it to running. The benefits are just commendable. You develop strong bones; it maintains your weight, helps you with heart issues and keeps blood pressure normal. This is the most followed exercise pattern. It is a fun exercise and you can build up your stamina the most in it. Keep your feet together and jump while stretching your feet to shoulder width and raise your arms above head. Now repeat this with the increased number of minutes each day! 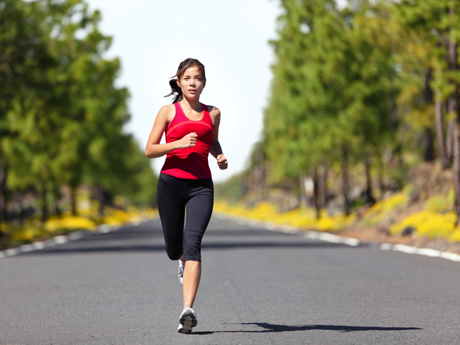 Run being at one place, with your knees driving upward toward your chest. Put your feet together, now push outwards with your right foot and hop to the left about 3 feet. Now land on your left foot and follow with the right one. This time hop back pushing off with your left foot. Hop and repeat! Lay down with your upper weight on your hands and body held at arm’s length and put the rest on your feet. The hands should be in line with the shoulders. This is an extremely easy and most followed exercise. Now breathe in as you lower your body towards ground, and exhale as you come back at the starting position. Being a beginner it may take you 15-20 days to perform 100 push-ups at one go. So start with a small number and keep on increasing. It eventually strengthens the chest, shoulders and triceps. Standing at one position, place one large step forward with one-leg, then immediately lunge backward. Then repeat same with the other leg. Keep switching legs after every 10 seconds. Numerous types of crunches are being performed for abs and one as Bicycle Crunches help you work more muscles group. Start with 15-20 reps and aim new every day! This one helps you with toned arm muscles. And in addition strengthens and tones the forearm muscles. The forearm muscles are used innumerable times in a day since they come to play each time we pick up things while bending the arm at the elbow. You can perform this exercise even while sitting down so if you spend a lot on phone, you can go ahead with it. Choose suitable weights as dumbbells or any other household accessory that easily fits in your hand. Sit a little forward in a position that your tricep can lean over your thigh for support with dumbbell in hand. Bring the weighted arm up towards shoulder and then down. Keep exhaling as you lift up and inhale as you lower it. Do atleast one or two sets of ten reps for each arm and consecutively switch arms. These are best for maintaining knee stability and benefits the leg muscles; hamstrings, calves and quadriceps. 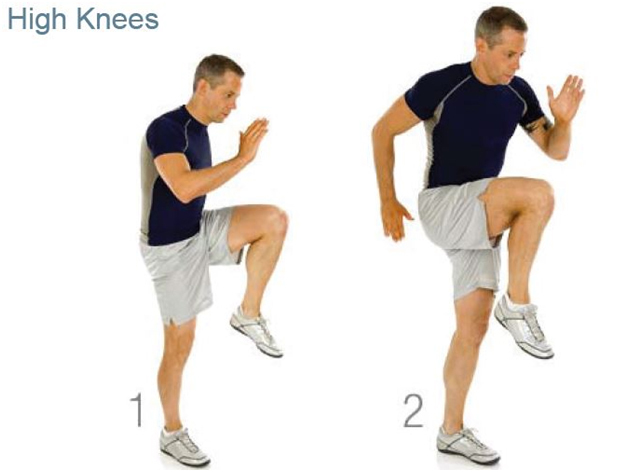 In leg squats not just legs but movement of knees and hips is also involved. Start off with feet a bit outwards from hips. Put your arms out in front of you. Now lower yourself at a 90 degree angle while bending your knees. Then return to the starting position. As a beginner, repeat 10 times for 2 sets. Muscles are important since we use them every day to pursue every single thing. Side lifts help you develop core stability and prevent the pelvis from leaning. 10-15 raises from each side are crafted for beginner’s routine. Lie down on your left side with your left arm below head. Now put your right hand off your right side of the waist and lift your right leg up in the air outwards your hip width. Now, keep it there for 5 sec and without making contact with the left leg again lift it in the air. Repeat it 10 times and then perform the same for other side. Do at least 10 reps for 1-2 sets. Having told you a lot about the pattern of morning exercises for fitness, it’s time to describe few points about morning workout plan! Exercises should be performed instantly after waking up. It must include explosive exercises as lunges and jump squats. Your morning workout routine should not be more than 15 minutes and should not be loaded with reps.
You may feel loaded with a lot exercises in one day, so just start with some stretching, jumps and walk. Morning exercise not only is a great mood booster and refresher, it also helps you keep your weight down and take a sound sleep. So, just make morning exercises a part of your routine to make fitness a part of your life! It is awesome for making good perfectionist body like amir khan of Dangal. in office then i do my own home work at my home. Thank you Rahul for your comment. Great to hear you’ve been doing those workouts and are seeing results! I m Really happy that you are so much keen for fitness. Keep it up and I know you will get much more from this site.